When I made the decision to earn money using the internet, I started with some research. I’ve always had a few side gigs for extra income and while these jobs were usually in some way related to my hobbies, I was ready for something different. There are so many different ways to make money online, But, when I started researching, I found hundreds of scams and get-rich-quick schemes. There were SO MANY websites and YouTube videos with extravagant promises for thousands of dollars in profit overnight. In reality, many required an exorbitant payment – JUST TO GET STARTED! No, thanks! For a while, I started thinking that there were no legitimate ways to make money online. I was working a full-time job, selling some crocheted items on Etsy, and clearing out my bookshelves by selling older books on Amazon. I was also involved in an MLM business. I was spending many of my weekend hours in these side gigs, with little to show for my efforts. An entrepreneur at heart, I love helping small business owners find success. But, what was I doing wrong? I became discouraged and resigned myself (briefly) to accept that it was not possible to create a reliable passive income stream. I backed off of my Etsy store projects and decided that I wanted to just travel and journal about my trips. The journaling was simply for personal record-keeping of the places that I visited. 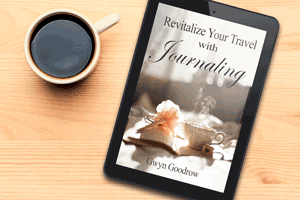 At some point, the journaling became part of an online blog service. Blogging was very enjoyable so I created a stand-alone blog…then another. I started travel writing for some online publications and then began selling my photos online as stock photos for magazines and other online publications. I thoroughly enjoyed writing and I was getting some traction, but these were not the passive, “make money in your sleep” revenue streams that I was looking for. My travels were limited to vacation time from my (enjoyable) career, and each article required additional research time and making connections with both the potential magazines and the destinations. My blogging journey has been like a 1,000 piece jigsaw puzzle, but finally, the pieces are falling into place. As a serial entrepreneur, I now understood what I wanted in my next business, and what I didn’t want. 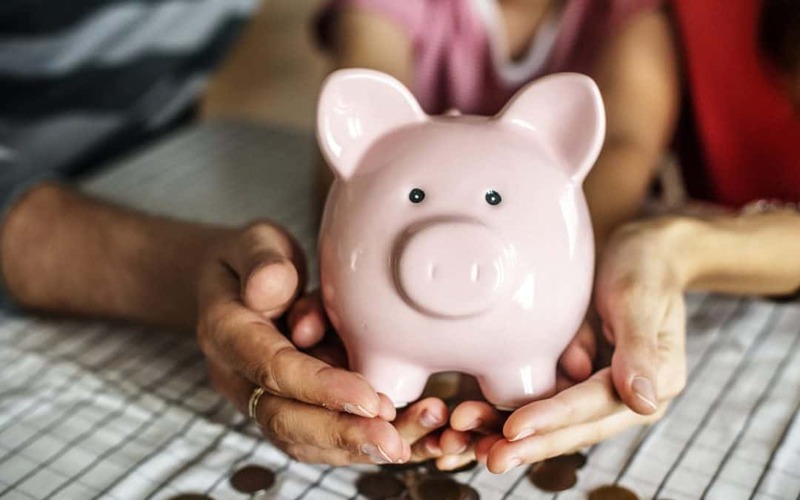 My hobbies fuel my energy and I had some interesting and viable ideas for making extra spending money but was not really sure how to transform my ideas into businesses. I also had a lot of frustration. I started working smarter on my blog with some repeatable processes. These processes streamlined my blog work and gave me precious hours to relax and think about where I was heading. 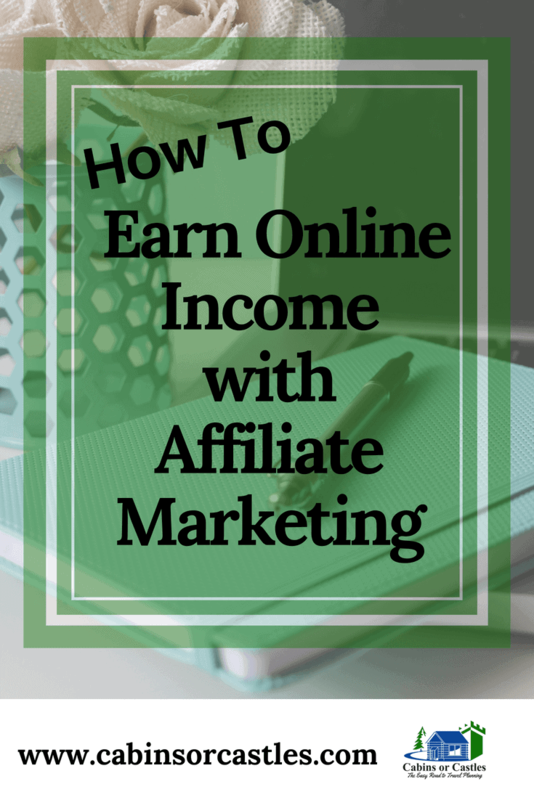 More and more, affiliate marketing seemed like a natural fit as a way to monetize my blogs. It gave me a segway into utilizing the education of my hard-earned marketing degree – but the truth is that you do not need a marketing degree (or any degree at all) – to find success in affiliate marketing. Confused? See this post about What is Affiliate Marketing and How Does it Work? To be successful with an affiliate marketing online business model you may spend weeks, months, or even years trying to learn such things as SEO (search engine optimization), keywording, target markets, WordPress strategies, email constructs, and time management. Join an affiliate program and learn EVERYTHING they offer. These courses are usually free and are targeted to the specifics of the affiliate program platform. 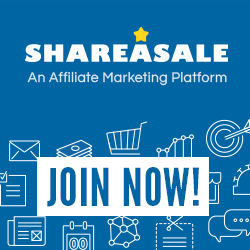 Two affiliate programs that I use are ShareASale and AWIN. These sites have hundreds of affiliate merchants in their networks and the payments are handled centrally. That makes it much simpler for me to keep track of my affiliate income. Simple works! There are a lot of paid courses available about online marketing and affiliate marketing, and I’ve tried a few of them. However, I recommend Making Sense of Affiliate Marketing as the best place for new affiliate marketers to get started easily and find success quickly. Start The Making Sense of Affiliate Marketing Training Course Today! There are training programs that promise online riches with very little effort. You’ve seen them. But that’s not how building long-term businesses work. A solid education program will never feel like you are being “sold” and it won’t guarantee an overnight millionaire status. It will give you the knowledge and tools to build your own success. There are absolutely some examples where people make significant income just starting out with affiliate marketing. However, that’s generally not the case. Those rare instant success stories are inspiring. On the other hand, there are hundreds of examples of people who earn a comfortable income AFTER they master the skills required to build an affiliate marketing business. Those examples help me to believe that my efforts will have positive results if I work steady and follow a process. The best affiliate marketing training programs offer a quality education and comprehensive support. Even if you do not have any formal training in web design, sales, and marketing, or blog content creation, a quality program will teach you the basics and guide you through your business growth phases. Does this program support my long-term goals? Affiliate marketing is not a sprint to riches, it’s a marathon. The good news is that the marathon run becomes easier with each passing month. When you define your goals and how you see your success, you will have a plan that you can follow. Following a plan will ease the frustrations of the learning process because you will be steady onward with the plan and trust that the outcome will follow. Does the program package make sense in terms of educational value and ongoing support? If I can’t find the program author (or their staff) for help, I’m not signing up, not spending my money, and not dealing with the frustrations of being on my own. Does the price make sense for the value being pitched? What is required to earn back the money that you invest in the course? This is known as Return on Investment (ROI) in the business world and is usually represented as a certain number of months or years to recoup the dollars paid out. The goal is to have a short ROI. For example, if a course costs $100, how long will it take for you to earn $100 by implementing the course strategies? I break that down into understanding how many readers are likely to be interested in the product, how many are ready to buy, and how many sales are needed to recover my expenses. After a couple of years working at affiliate marketing, I just was not getting the financial boosts that I expected from my efforts. I understood the affiliate membership programs and I understood the best practices for including links into my blog posts. I could see hundreds of clicks each month but low conversion rates. I wanted a course to help me understand conversion rates and how to improve. I was ready for the next step. I went back to the grindstone, digging into each of my published articles, updated the articles and defining the value of the recommendations that I made through the various affiliate programs. I’ll tell you; this approach was creating better articles and a bit of income,but was slow and tedious. Then I stumbled on a program that was receiving great reviews in my blogging community. It was definitely an investment, so I put it on my list for blog investments for the following year. Big mistake. The course Making Sense of Affiliate Marketing really did help me to make sense of what I was doing wrong – and just as importantly – what I was getting right. I was figuring it out on my own, but the course filled in the missing pieces and gave me the education to understand and apply step-by-step affiliate marketing. Ongoing support is provided through a private Facebook community group and through emails. The training is delivered as an online course through Teachable with access available anytime. Just this week, I received an email about a new module for the course, delivered to me at no additional fee. Why is Making Sense of Affiliate Marketing My Top Recommendation for Affiliate Beginners? My journey was long, with many nights and weekends of bitter tears of frustration. As a novice blogger, I didn’t know where to turn for help and I didn’t have the confidence to reach out to my affiliate programs for support. Sometimes, I was not even sure what questions I should be asking! When I started the course, the concepts started to click into place. The puzzle was completed. I now understand how to develop a strategy for blogging and to introduce my readers to valuable products, while still providing quality content to make your lives easier. This program promises the tools and education for you to quickly begin an affiliate marketing business. It does not promise overnight results or instant income. Instead, it offers step-by-step processes to build an online income from scratch. That all makes perfect sense to me. When you purchase the class, you’ll receive an invitation to the mastermind community. A mastermind community is simply a group that gathers to support one another and solve problems together. It’s free with your class purchase and delivered through a Facebook private group. The community support is tremendous. I love how the mastermind group is really there to help one another. We’ve worked our way through GDPR issues, Pinterest changes, and event technical blogging issues on out site. The general theme, however, is about making money with affiliate market. With more than 4,000 members, it’s a community with tremendous brain power. Not ready yet? Sign up for my newsletter and I’ll keep you posted on any discounts or sale dates for the program. Those are not common, but I’ve got your back. Got questions? Send me an email. I promise I answer all of them myself. It may take a couple of days, but I’m here to help you. Still thinking it over? Scroll down and “Pin This” for reference.